Kwikspace is Africa’s largest manufacturer of prefabricated, modular buildings that provide alternative building solutions for any accommodation requirement across industries, applications and locations. Kwikspace was approached by a long-standing client for a solution that could be used as guard houses on a Namibian mine. For this project, Kwikspace provided five non-standard mobile modular buildings with specified electric and paint works. These are being used as guard houses at various look out points within the mining operation. Quicker than conventional building techniques, Kwikspace’s alternative building technologies are ‘Kwik to Deliver, Kwik to Setup’. Implemented as prefabricated, pre-assembled buildings, Kwikspace solutions are delivered to sites throughout Africa, quickly and cost-effectively. Kwikspace is renowned for its efficiency and for the quality of their products, which are manufactured according to ISO 9001:2008 and OSHAS 18001:2007 standards and have a minimum life of 20 years. “We offer a great product and exceptional service”, says Mico Botha – Kwikspace Regional Manager, Cape Town. Prefabricated to client-specific requirements, Kwikspace delivers within 2 to 4 weeks. Set-up of modular buildings can occur simultaneously with the site and foundation work, meaning projects can be completed 30% to 50% sooner than traditional construction. 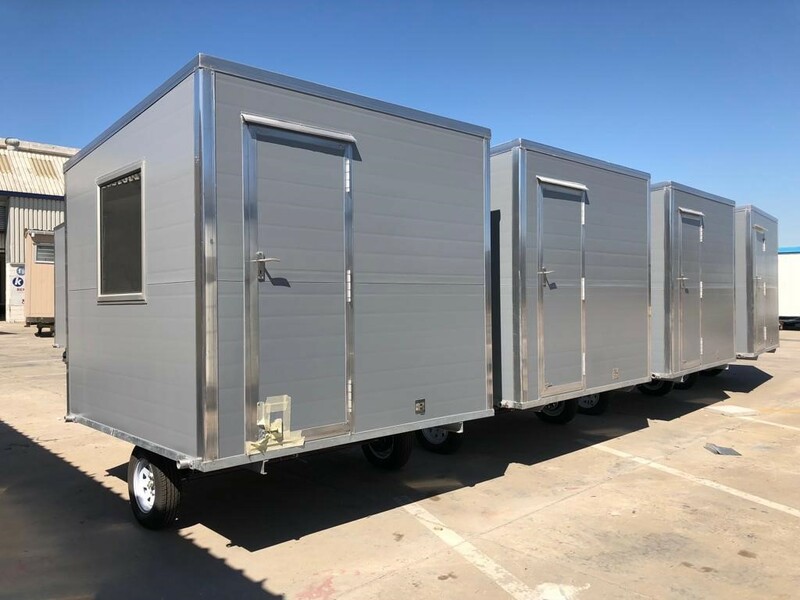 Modular buildings can be disassembled and can be relocated or refurbished for new use, reducing the demand for raw materials and minimising capital expenditure to create a building to meet the new need. Kwikspace delivers cost effective, flexible, quality-assured mobile building solutions. Nu Menu Solutions has always aimed to simplify management and communication in the hospitality sector by providing the best hospitality software in South Africa. They have always strived to facilitate management operations and provide the guests with an outstanding experience. Offering the best in the hospitality management software, Nu Menu Solutions has brought the INTELITY platform to South Africa. INTELITY Solutions is one of the most comprehensive and broadest management platforms. It caters to the needs of hotels, cruises, casinos, luxury residence industries and other components of the hospitality sector. The INTELITY platform isn’t merely a combination of devices. Rather, the platform serves as a single solution for many common issues that are recurring in the hospitality industry. INTELITY Solutions has created this platform as a comprehensive system that is functional at every step of the hospitality journey, from one end to the other. The platform guarantees operational efficiency so that the staff can render exceptional service to the guest. 1. Intelity Guest – Employing the latest technology available, INTELITY has created Intelity Guest to offer a better stay experience to guests. The platform provides the guests with more control by bringing all essential features to their room. They are allowed to check-in and check-out using their mobile device, connect to the staff directly and avail services from their room itself. 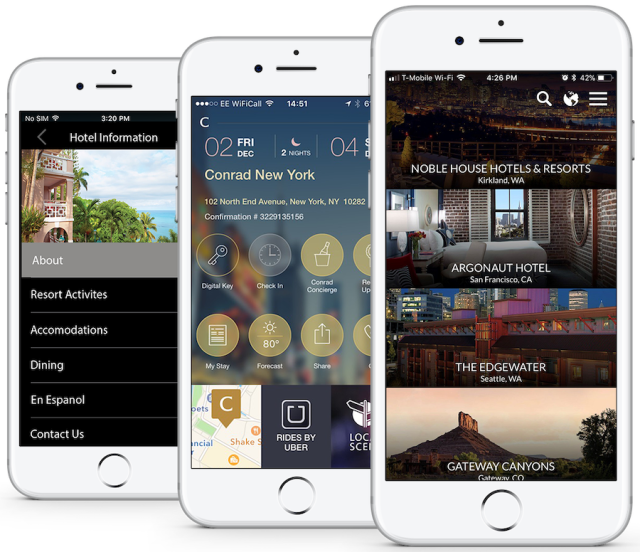 Featuring a Mobile app and a web portal, the Intelity Guest Platform acts as a virtual concierge. In-room tablets, smart mirrors and other gadgets alleviate the guest experience to a whole new level. 3. Intelity Connect – To offer the most comprehensive suite of tools, the INTELITY platforms have been integrated with various management systems like customer relationship management, point of sale and property management systems. This ensures that the platform is incorporated into your current operations seamlessly. INTELITY has also partnered with technology leaders to provide the latest devices and solutions. Apart from the INTELITY platform, Nu Menu also offers self service kiosks and digital menus for restaurants. To know more about their products and services, please visit their website: https://www.nu-menu.co.za/. 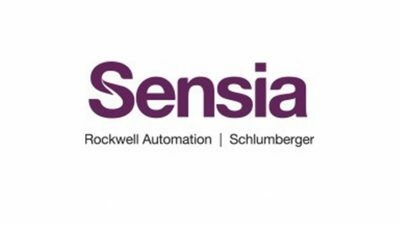 Rockwell Automation, the world’s largest company dedicated to industrial automation and information, and Schlumberger, the world’s leading provider of technology for reservoir characterisation, drilling, production, and processing to the oil and gas industry, announced that they have entered into an agreement to create a new joint venture, Sensia, the first fully integrated digital oilfield automation solutions provider. The transaction is expected to close, and the joint venture is expected to begin serving customers, in mid-2019, subject to regulatory approvals and other customary conditions. Under the terms of the agreement, Sensia will operate as an independent entity, with Rockwell Automation owning 53% and Schlumberger owning 47% of the joint venture. Sensia is expected to generate annual revenue of $ 400 million, and will employ approximately 1 000 team members serving customers in more than 80 countries, with global headquarters in Houston, Texas. The management team will be led by Allan Rentcome, who will serve as Chief Executive Officer. He is currently Director Global Technology – Systems and Solutions Business at Rockwell Automation. As part of the transaction, Rockwell Automation will make a $ 250 million payment to Schlumberger at closing, which will be funded by cash on hand. Following this investment, Rockwell Automation will maintain its strong financial flexibility and continue to support its capital allocation priorities, including organic growth and acquisitions, dividends, and share repurchases, and Rockwell Automation reaffirms its $ 1 billion share repurchase target for fiscal 2019. Watch Rockwell Automation’s webcast presentations from the Citigroup Global Industrials Conference and the Barclays Industrial Select on the Rockwell Automation website at www.rockwellautomation.com. Nothing dulls the bottom line more than out-of-synch Enterprise Resources. DBI Technologies Inc., the renowned innovator of ActiveX and .NET component software for Enterprise Resource Scheduling, Visual MRP, text analytics and modern Dashboard design is pleased to announce the release of Solutions Schedule COM 64 v3.0 and Solutions Schedule COM v15. Winnipeg, MB., March 02, 2019 — Nothing dulls the bottom line more than out-of-synch Enterprise Resources. DBI Technologies Inc., the renowned innovator of ActiveX and .NET component software for Enterprise Resource Scheduling, Visual MRP, text analytics and modern Dashboard design is pleased to announce the release of Solutions Schedule COM 64 v3.0 and Solutions Schedule COM v15. “We’re proud to be releasing these advanced ActiveX versions of Solutions Schedule representing yet another Visual, Drag and Drop Enterprise Scheduling milestone, offering enterprises the visual ability to have the right resources in the right places at the right time.,” said Craig Gluck, DBI’s vice President of Product Development. The visual presentation aspects of the Solutions Schedule product line, the tightly integrated data architectures and the fundamental business rules incorporated in to each control offer unparalleled developer focused attributes perfectly suited for Visual Drag and Drop Enterprise Resource Planning and Scheduling. For example, Solutions Schedule’s new Locked Resource Item Rows and Report Printing functions allow developers to fully extend their data presentations and enhance end-user intuitive drag – drop resource management capabilities. DBI’s industry proven component-based software is found in commercial and enterprise solutions that support healthcare and logistics, manufacturing and assembly line production, ERP and CRM – making sure your plumber, electrician, Train and Airplane gets to you on time. Designed to complement and enhance existing investments in enterprise resource planning, the advanced planning and scheduling (APS) solutions offered by DBI’s Component Software hit the mark. For full product details, enterprise licensing and other component software solutions from DBI, please navigate to: https://www.dbi-tech.com or anyone of DBI’s world wide value added reseller partners. Veolia supplied three water treatment solutions in Mbombela. Veolia Water Technologies South Africa was contracted to alleviate Mbombela’s water constraints with three new water treatment plants. Addressing the need for low-footprint, portability and easily maintained water treatment solutions, Veolia supplied three Potable Water Treatment Plants (PWTP ) to Mpumalanga’s capital city. “Our Water Techno Packages are fast becoming very popular water treatment solutions across South Africa,” says Nishaal Rooplall, Project Engineer, Veolia Water Technologies South Africa. “Not only are these compact solutions a cost-effective alternative to in-ground plants, but their ‘plug-and-play’ and low maintenance functionality makes them ideal for remote locations. Furthermore, these plants are packaged and movable by nature and can be transported elsewhere if the city’s water requirements change.” Water Techno Packages are specifically designed to supply treated water to isolated communities and in compliance with SANS 241 and WHO requirements. In the first project Veolia installed a packaged PTWP to the Makoko Village; a remote village situated 30 minutes from the city that does not have enough potable water for its community’s needs. The PTWP is equipped with clarification and sand filter technologies to treat 0.75 megalitres of potable water per day. The second project saw Veolia upgrading the existing Water Treatment Plant at the Mshadza Village, another remote village outside the city of Mbombela. The existing 30-year old Water Treatment Plant utilised older technologies that made it unable to meet the village’s growing potable water demands. In this installation, raw water was diverted from the old plant to Veolia’s new packaged PTWP where it used clarification, sand filtration and carbon filtration technologies to treat one megalitre of potable water per day. Similar to the Mshadza installation, albeit on a smaller scale, Mbombela’s White River Country Estate had an existing water treatment plant that was unable to meet growing demands due to its older systems and technologies. 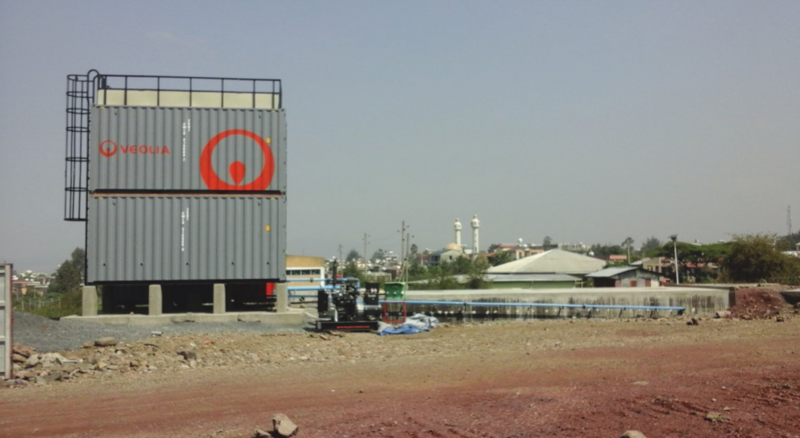 Veolia supplied a containerised water treatment plant that will treat 58 m3 / hr of potable water for the Estate. It features clarification, sand filtration and carbon filtration technologies – all packaged into two containers next to the old plant. Veolia’s Water Techno Packages are designed for ease of service and maintenance, which translates to fewer challenges for plant managers. Supplied since 2005 initially as made-to-order, customised plants, Veolia now supplies these plants as standard, off-the-shelf solution. The benefit is even greater fabrication speed, with complete Factory Acceptance Tested plants being produced in 10 to 12 weeks according to ISO 9001 quality standards from Johannesburg-based production facility. The Mbombela water treatment plants are operated locally and Veolia remained on site to provide operator and best-practice training for all three installations. “This training is of vital importance to Veolia. It not only allows us to educate the community on best-practice water handling but, with proper maintenance and operation, these plants should provide a consistent supply of potable water for the next 20 years,” concludes Rooplall.